I have spent the last 3 days cleaning and straightening my studio. Did I ever make a mess in 2010!!! WOW!!! I am still not finished and want to get to my sewing machine but can’t see it right now. Plus, I don’t dare start working while there still a mess in that room or I will become too comfortable with that and the cleaning process will never be completed. I found quite a few (okay far too many to admit to) UFO’s while rearranging and sorting, and decided this is my main goal for 2011……to finish, finish, finish!!! Thought you would be interested to see a few…..and throughout the year you can *encourage* me to post pictures of finished pieces!! 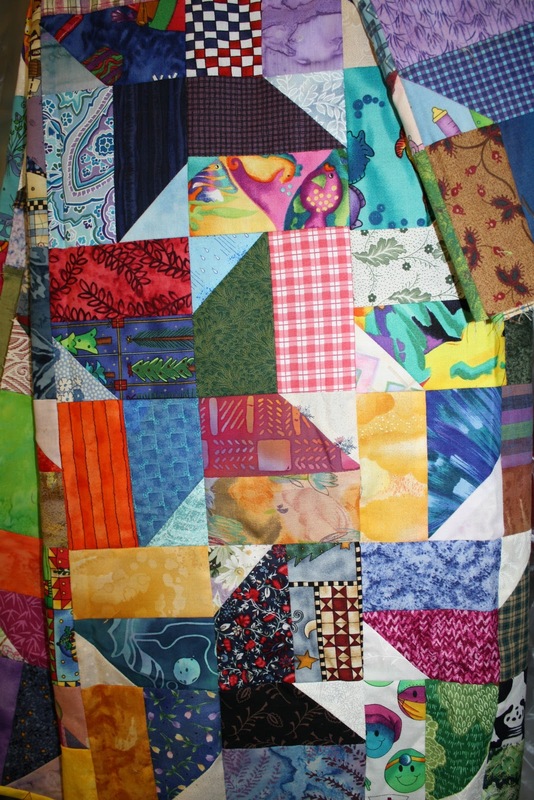 Well first there was the huge rubbermaid container of quilt tops (made by me) that need to be quilted. 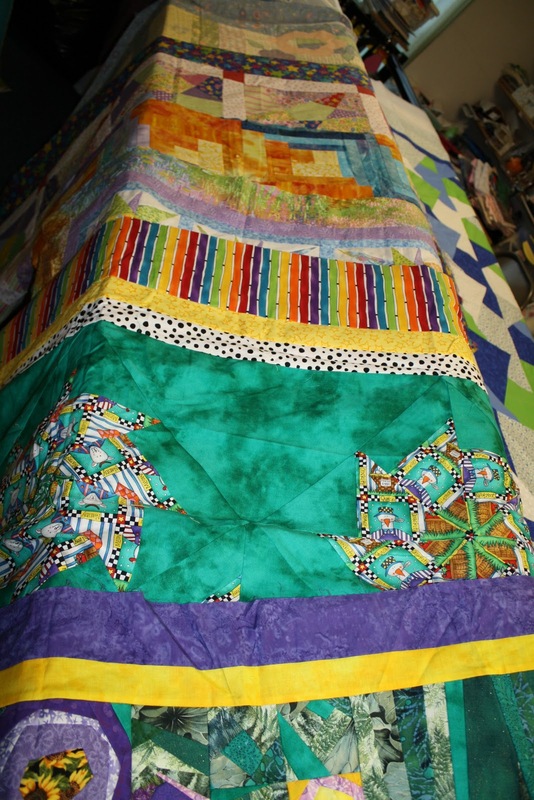 Below are just 6 that I spread out on top of the quilting machine. A few of my favorites were hanging up. I must have thought I was going to get to them soon!! HAHA!! I am so in love with this red pineapple one…..I MUST MUST finish that one first! There is this one that I started right after I got married……over a decade ago!!! EEEKKK! It is a king size so that took some time……like a decade!! I have another one, that will be a king size one day also, that I started around the same time and the blocks still need to be sewn together. And I also found tons of little projects that need to be *finished*. 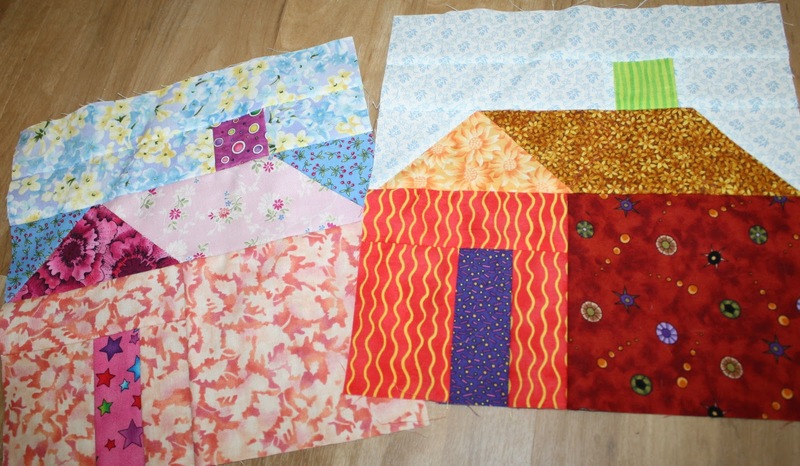 These house blocks were meant for a give away quilt but I couldn’t get the finished size right, so I think I will make them into placemats. This is another unfinished placemat, just needs quilting, that I made up with a variety of sampler blocks. Oh and let’s not forget the crochet!!! Two years ago I FINALLY figured out how to crochet and do not have one finished project that I own to show for it! I have given away lots of things! 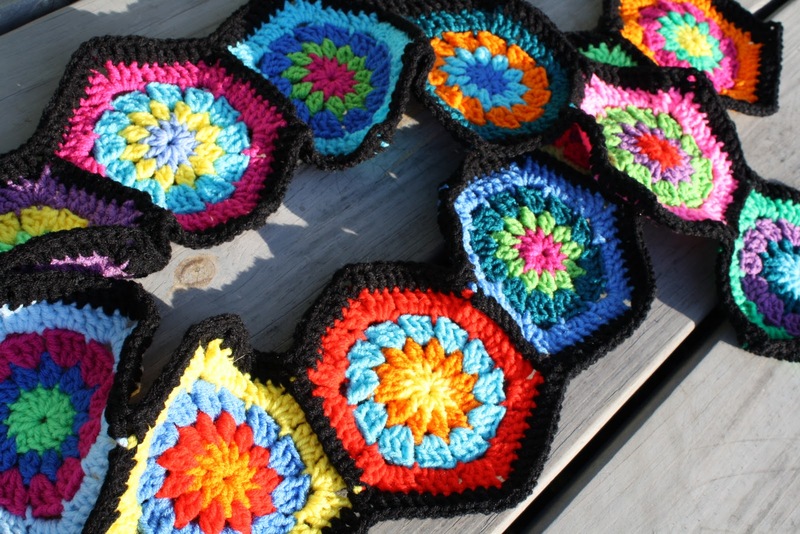 The granny square below will be a pillow. I am working on it right now, so perhaps this will be the first UFO that is completed. 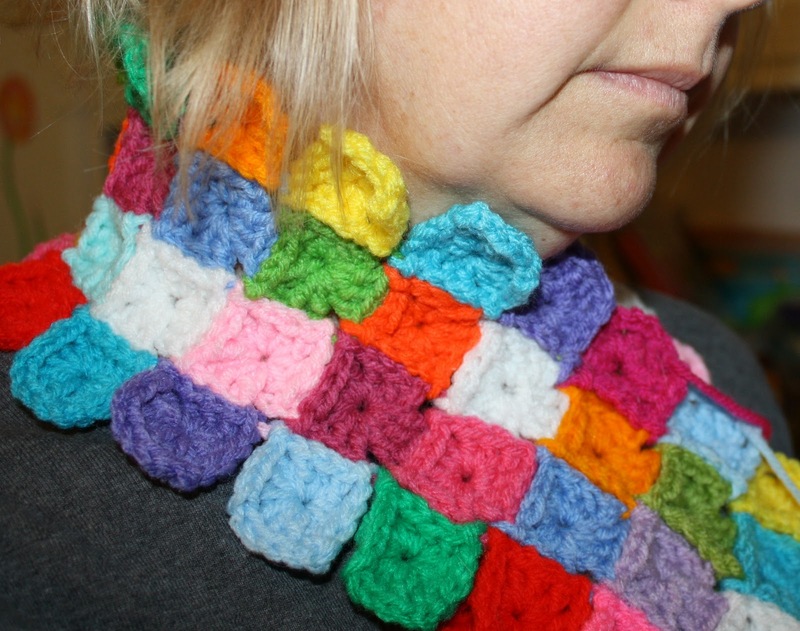 Then there are a few crocheted scarves that are so close to being finished. It has been REALLY cold here also….so I could really get some use out of these! 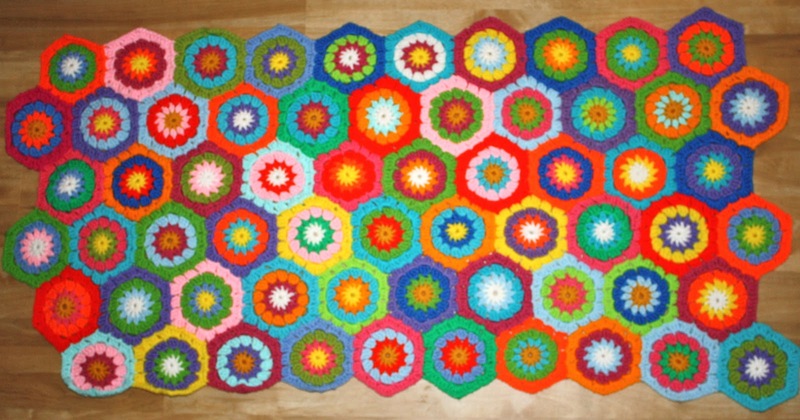 This was my first big crochet project….and it only needs like two more rows of hexes to be a throw. 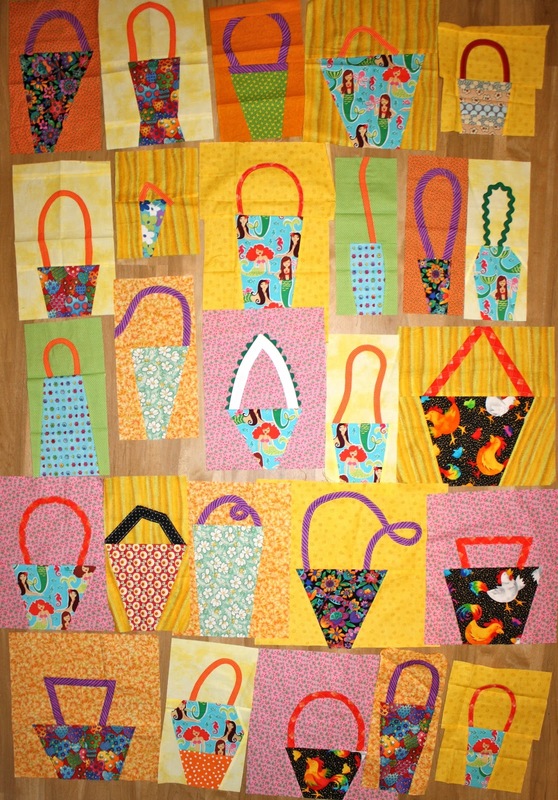 Speaking of swaps…..I have blocks from a Bee Liberated Group I am in on Flickr, that need to be sewn together and added to that pile to be quilted. I have been fortunate enough to have some great swap partners this year and below is just a sample of some of the pieces I have received. I almost forgot about my Baker’s Dozen Group on Raverly. 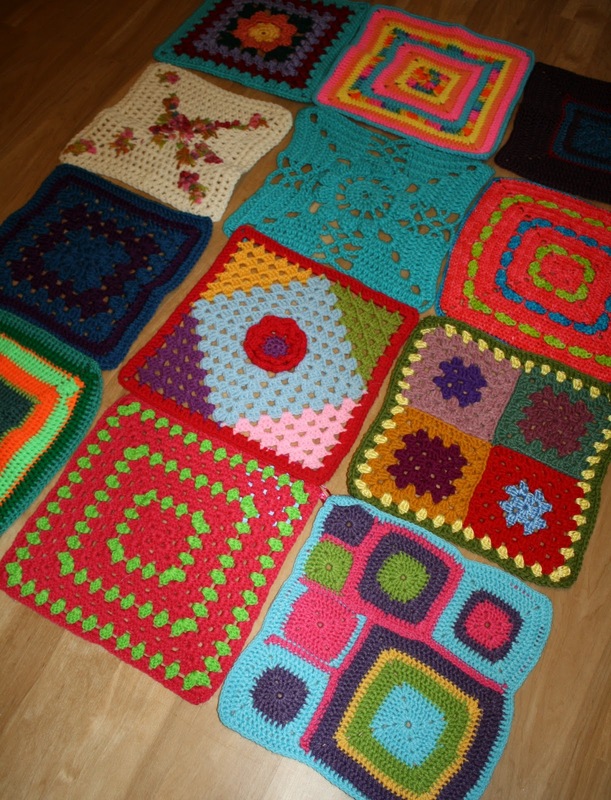 I have received all my blocks and now need to stitch them all together. One more item that is long over due is my bathroom vanity counter. 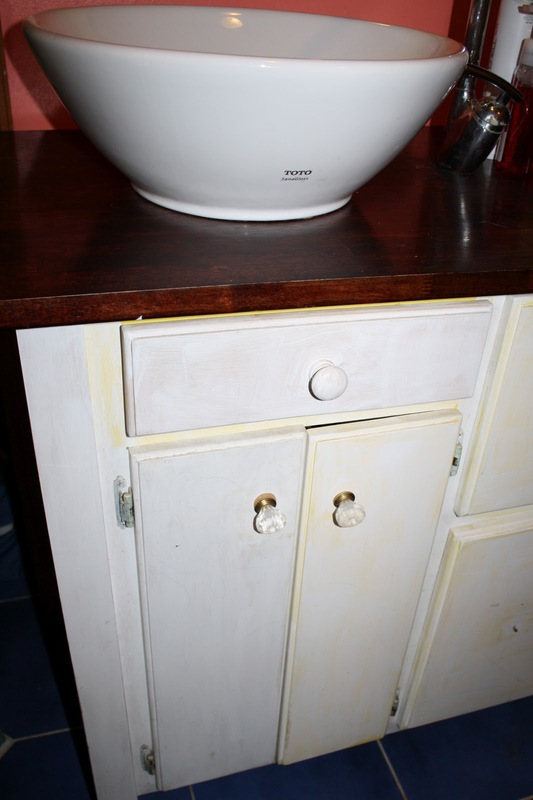 I have been in my house for 8 years this February and I have painted this poor cabinet three different colors, at three different times. Then I had it ready to do an aged technique on it…….since then I re-primed it and have mermaids drawn on it, but they are too light to see in this picture…..I would really like to finish this project! So this list of things should keep me busy until about July 2011!!! And I didn’t mention art shows I am signed up for in January and February, orders I need to fill, dogs to train for agility, that knitting hobby I need to conquer, and new jewelry ideas in my head that need to come out! Please keep me accountable on these projects 🙂 I am grateful for all of you that miss my long, crazy posts when I disappear from the world of blogging! Thanks for asking where I am! Incase you don’t hear from me before….have the best 2011 ever!!! 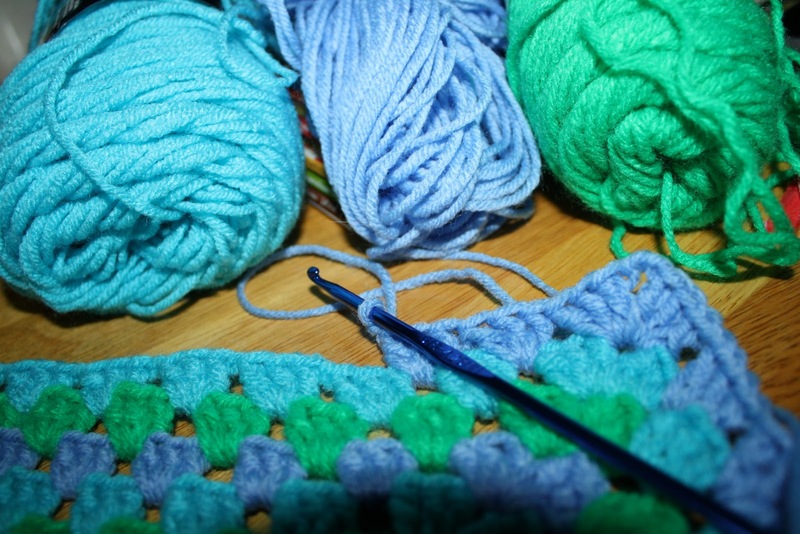 This entry was posted in crochet, quilting, quilts, UFO's. Bookmark the permalink. sounds like a great plan for the new year! I have lots of UFOs too that I'm hoping to plow through. 🙂 I'm glad I got to be one of your swap partners this year! 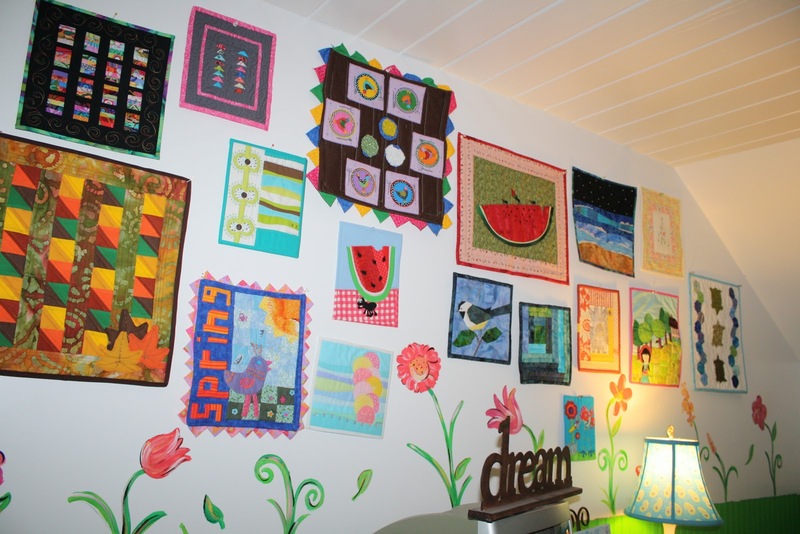 Definitely finish those quilts up! 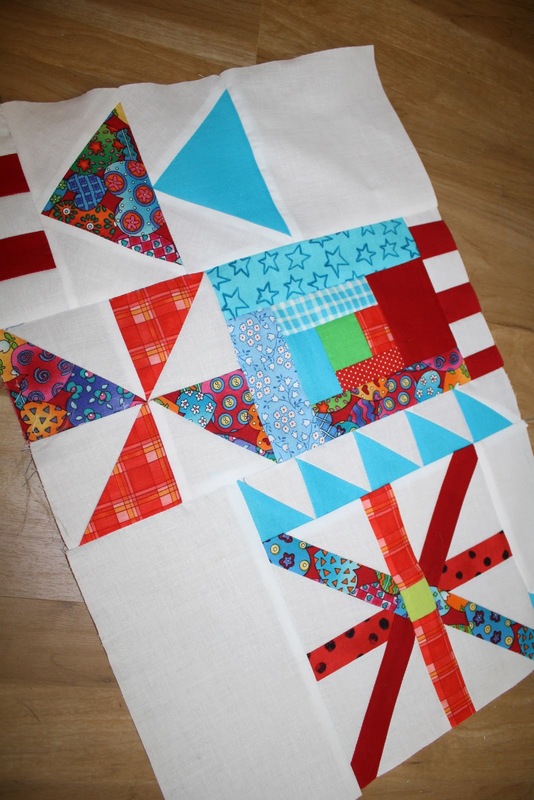 I love the red quilt too! Oh yes, start with the red pineapple for sure… it's a beauty! You have plenty to keep you busy, and I'm in the same boat. Lots of UFOs… so you are not alone! 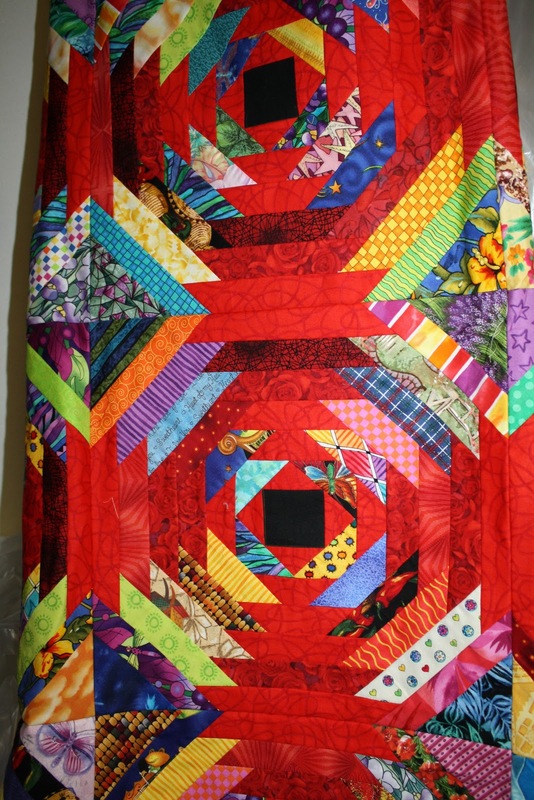 Love your red pineapple quilt (my favorite quilt pattern). Good luck with your goals, I hope you finish all of your UFO's.